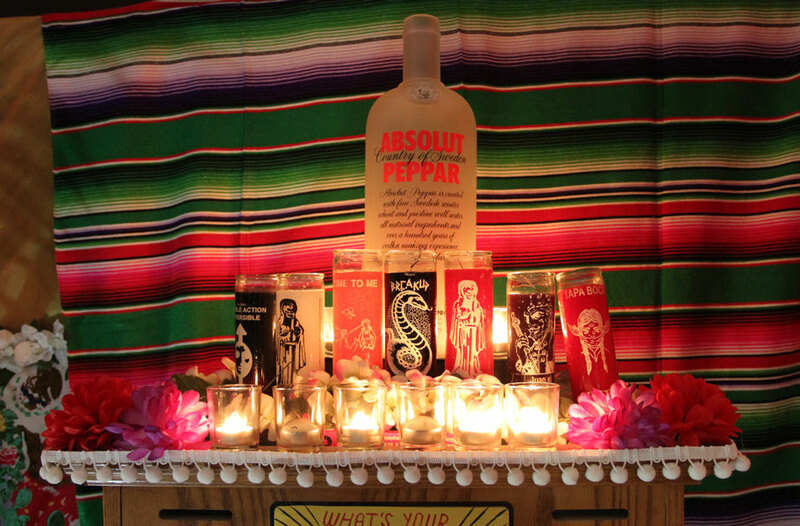 I was invited to transform my studio at the Ansonia into a temporary bar, themed around Absolut’s Peppar flavor. 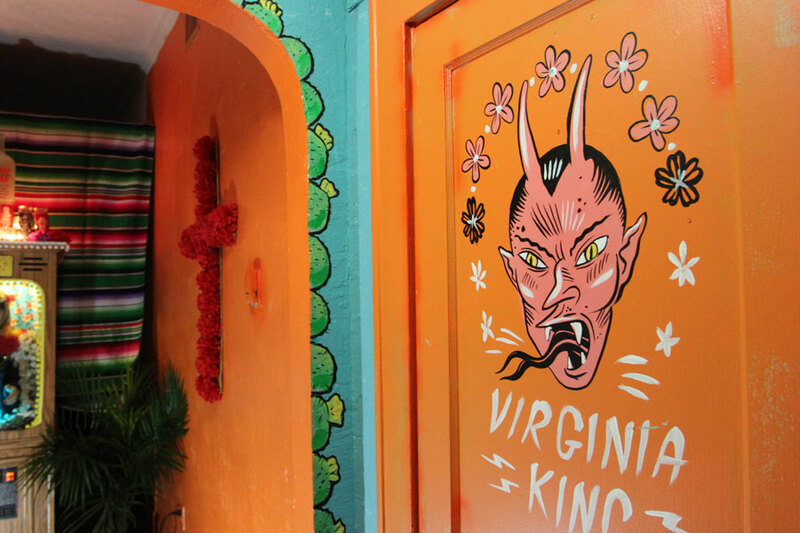 The drink is accented with the taste of chili pepper, and I was paired with Virginia King, the queen bartender of Miami’s beloved Broken Shaker. 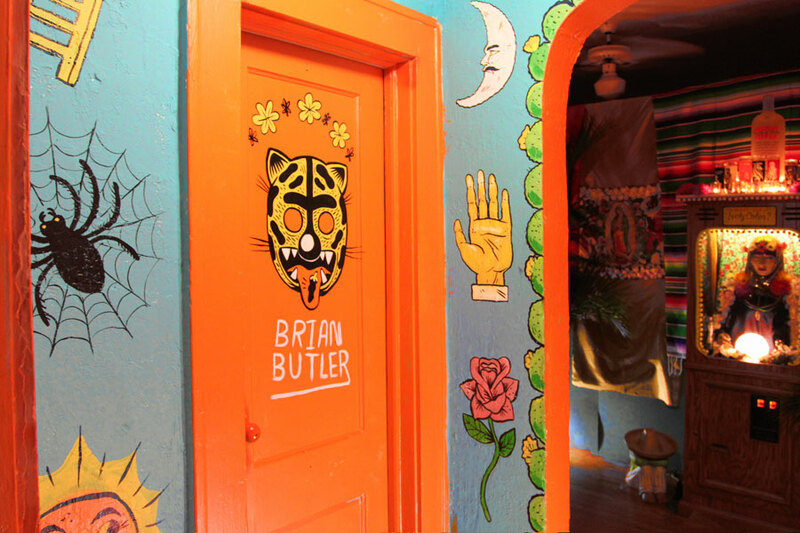 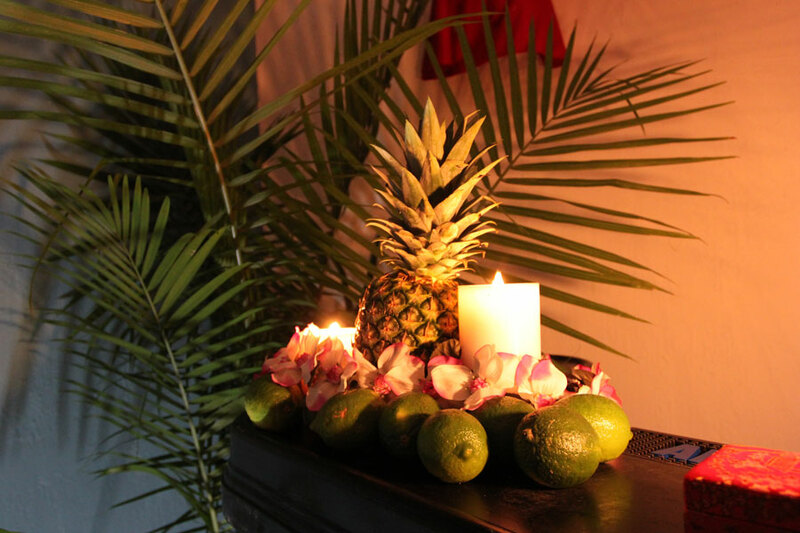 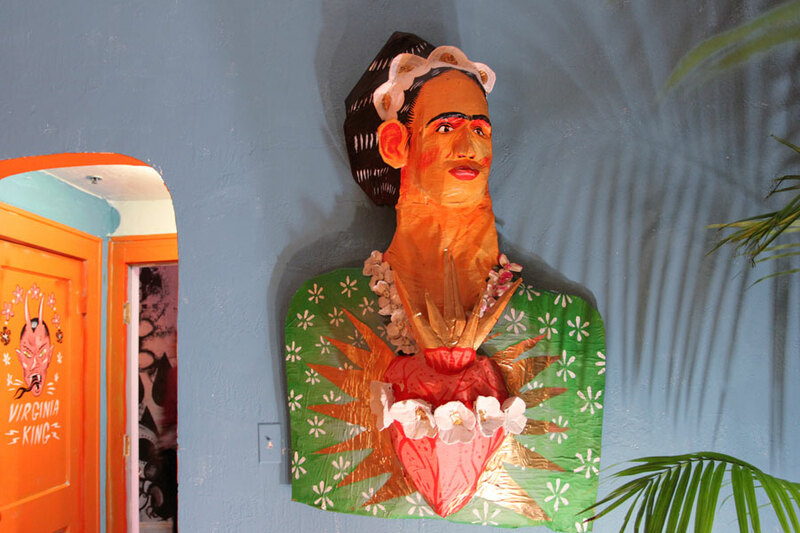 The flavor lent itself it to Mexican iconograpfy, so I decked out the room with palms, a flower crucifix, giant paper mache Frida Kahlo bust, and transformed an automated fortune teller into an interactive shrine. 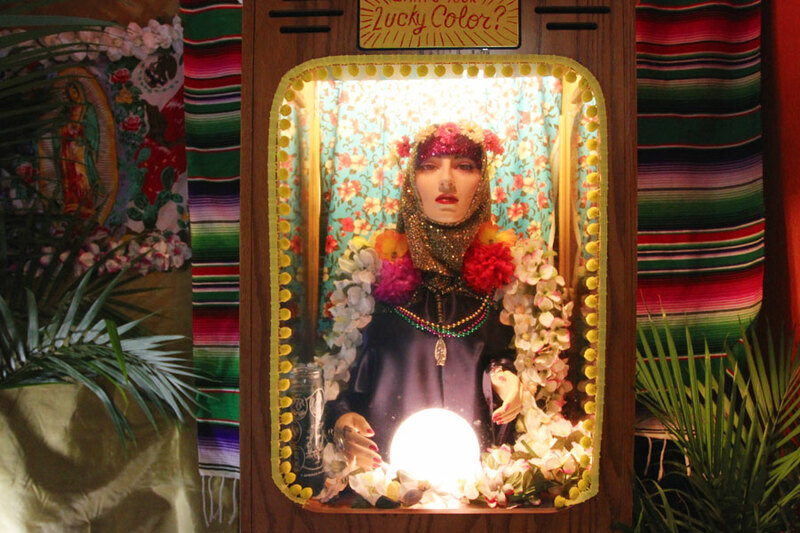 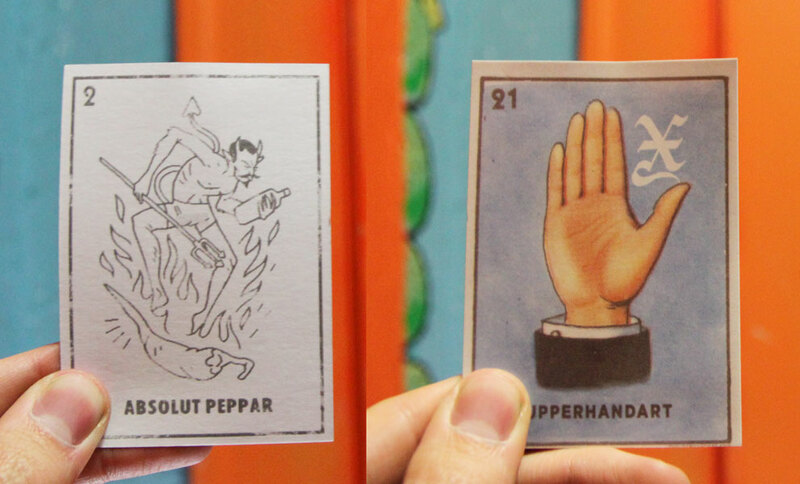 Guests dropped tokens into the shrine, and the flower-laden gypsy would announce their lucky color, and vend a branded loteria card.